Aug 17, 2017 (LBO) – Sri Lanka’s family business continuity will depend on their ability to have a clear vision and retaining family unity, business leader Shiromal Cooray said. “The failure to articulate the vision of the business in writing can be especially problematic as a company transitions from the 1st generation to the 2nd because the underlying goals are no longer as clear as they once were,” said Cooray, managing director of family owned Jetwing Travels. 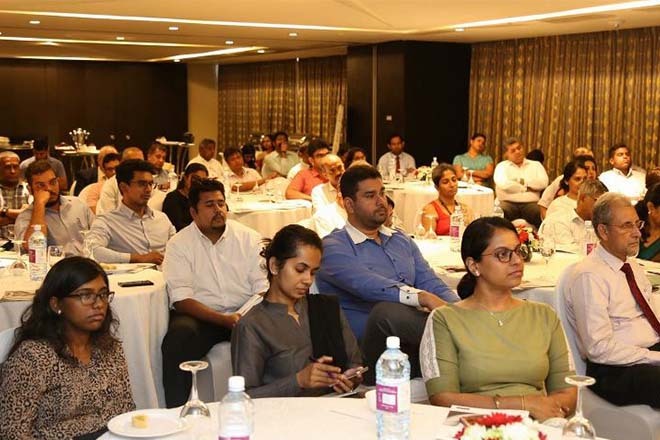 Cooray was speaking an event held to highlight the hurdles that family businesses face around continuity and persevering it to the next generation. A recent survey done by STAX, a strategy consulting firm said that a combined 77 percent of family businesses either have a well-defined vision or are on the process of developing one but that on the flipside, only 58 percent of companies have their vision in writing – the rest rely upon a verbal agreement. The STAX study surveyed a select group of 31 family business leaders; 70 percent of those firms have been in existence for over 30 years and was structured to explore four key themes strategic thinking, succession planning, professionalization, and innovation that leaders need to consider for the longevity for their businesses. Ruwindhu Peiris Manager, director of STAX said Sri Lankan family firms stand on the cusp of a phenomenal opportunity as the region expands. First generation businessman and chairman of Laugfs Holdings, W.K.H. Wegapitiya Wegapitiya says failure to embark on timely succession planning is one of the main reasons cited for family business discontinuity. He shared statistical evidence emerging from a Harvard Business professional who had theorized that businesses boom and burst in a predictable wave period of standard length. According to the STAX survey, the majority a 68 percent of the family businesses in Sri Lanka reported that they had a succession plan that satisfied their aspirations. However it said that some leaders are yet to develop a sense of clarity and comfort regarding the extent to which the next-generation will contribute towards the business. Commenting on this Cooray said that our children are not forced but there is a tendency that they will join as they are educated in the respective fields. The act of professionalizing involves achieving a separation between family ownership and business management, the survey added. While family businesses can be slow to embark on this process, the majority of the firms 94 percent surveyed are willing to bring in external expertise; with the key reason being a perceived need for greater diversity and maturity among leadership teams. Another significant aspect of continuing a family-owned business is innovation and diversification into hitherto unexplored realms of business in order to ensure long term sustainability. According to the survey, 87 percent of Sri Lanka’s family businesses have considered diversification. In general, the speakers agreed with the idea of diversification in order to avoid conflict but noted that most preferably it should be done in alignment with the core competencies of the main business.